With health consciousness and hotter summers on the rise, sparkling water is fast becoming the beverage of choice. Soda can be refreshing at times, but many are now choosing other less sugary options. And as the days get warmer, hydration is more important than ever. Consumer tastes are also evolving, so new varieties and flavor combinations are lining supermarket shelves each day. 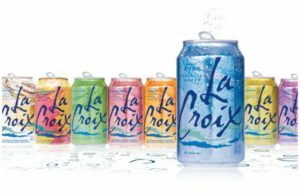 So, we’ve created a list of 10 of the most recognizable sparkling water brands on the market today. Some you’ll know, some not so much. Either way, we’re fairly certain you’ll find a sparkling water to suit your fancy. Or at least to go with your suit. One of the most recognizable water brands throughout the world, Perrier is well known for its signature green teardrop bottle and high carbonation. With over a billion bottles sold yearly in 140 countries today, its origin was reclaimed in 1898 from an old Roman spring in southern France. 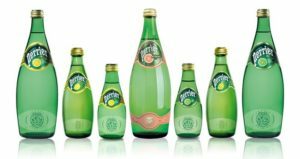 Perrier is now available in several flavors, including the classic citrus flavors, and newer flavors Citron Lemon-Lime, Pamplemousse Rose, Green Apple, and Mint. The famous water from Norway has grown incredibly over the last 16 years since its first release in the US. 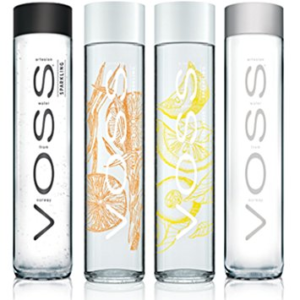 Known as the water of distinction and sophistication, VOSS and its signature bottle have recently introduced sparkling water to its offerings. Now with Unflavored, Lemongrass Tangerine, and Lemon Cucumber in the lineup, those blistering hot club nights in Vegas just got a little cooler. Hailing from natural springs of the Italian Alps, San Pellegrino is another sparkling mineral water with a rich history. Founded in 1899, S. Pellegrino has been a leader in innovation, launching its orange sparkling soda, Aranciata, in 1932. More recently, they have released other flavored sodas including blood orange, clementine, prickly pear and orange, and pomegranate. One remarkable quality about San Pellegrino’s water is its mineral content. Sulfur is one of the most common elements in the human body, and San Pellegrino has plenty of it. In fact, it has some of the highest levels of sulfates known in the world. So drink up: it may be the best part of your new health regimen. Gerolsteiner is a bubbly water sourced from various natural springs throughout Germany. First born in 1888, Gerolsteiner was the preferred water of Buckingham Palace during Queen Victoria’s reign, and quickly expanded to the US in 1890. It is distinctly known for its high mineral content, including calcium, sodium, magnesium, silica, and sulfates. 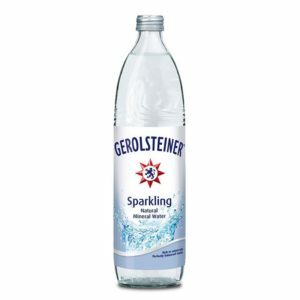 Gerolsteiner also has a line of flavored beverages, but only their sparkling water is currently available in the US. Crystal Geyser is a spring water company with a formidable product line. 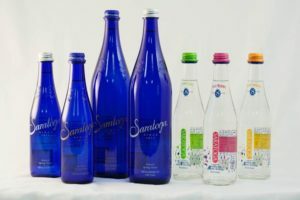 Founded in 1977, the California-based company bottles spring and aquifer water from several locations throughout the country. Crystal Geyser offers everything from 5-gallon water with delivery to bottled still and sparkling water. With such flavors as Lemon, Lime, Orange, Mixed Berry, and most recently Peach and Pineapple-Mango, there’s a crisp, sparkling refreshment for every taste. 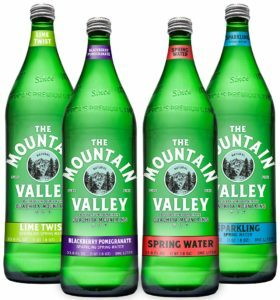 Mountain Valley is one of the oldest spring water bottlers in the US. This water has had a rich history since 1871, once co-franchised by media mogul William Randolph Hearst and the first bottled water available coast to coast. Mountain Valley has won several awards for its flavor, due to its unique mineral content and flavor profile. In addition to its unflavored sparkling water, the company now offers two new flavors in Lime Twist and Blackberry Pomegranate. First discovered in 1797, Poland Spring is a natural still and sparkling water originally bottled as a cure-all for illnesses. Now sourced from various locations in Maine, its waters are distributed in 5 gallons for delivery across the Northeast and in smaller bottles across the US. 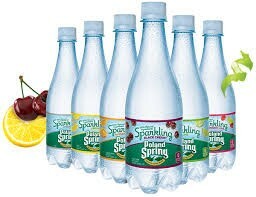 Available in Berry and citrus flavors, Poland Spring is another healthy alternative to soda. Touted as the “only Premium American spring water”, Saratoga Spring has been a luxury water brand since 1871. With a striking cobalt blue bottle, its elegance is not limited to its appearance. It has been served during presidential inaugurations in Washington, D.C., including Barack Obama in 2013. Clean taste and low mineral content are the marks of great water, and Saratoga Spring delivers on this promise. 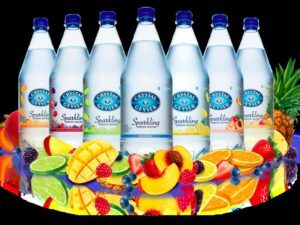 Now available in sparkling Lemon Lime, Orange Tangerine, and Wild Berry, you can enjoy this luxury water on any occasion. 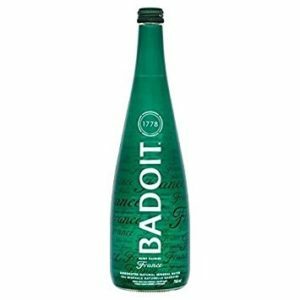 When it comes to fine dining, Badoit is the quintessential European brand. A French staple since 1778, its mineral content and natural carbonation make it one of the most recognized flavors of sparkling water today. Surprisingly light in taste, its fizz is a surprisingly equal match, making it ideal for food pairings and palate cleansing. With only 69 million gallons bottled yearly, it’s surprisingly hard to find. If you find it at your favorite gourmet market, make sure to grab an extra bottle of this liquid gold.